Sixteen movie couples who fell in love on-screen and sometimes off-screen as well are saluted in this sentimental and often humorous volume. Clark Gable, who made six films with Jean Harlow and eight with Joan Crawford, appears in two chapters, as does Woody Allen, whose movies feature his romantic interests Diane Keaton and Mia Farrow. Sunshine ( How to NOT Turn into Your Mother ) limns John Gilbert's smoldering, unrequited love for Greta Garbo; Fred Astaire and Ginger Rogers's ambivalence toward each other; Humphrey Bogart and Lauren Bacall's passion; Myrna Loy and William Powell's depictions of a secure, monogamous relationship. 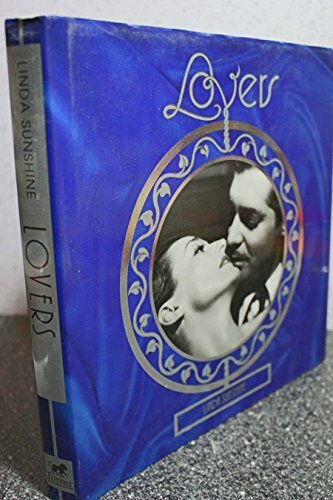 Each segment ends with a list of the couple's films together and sometimes includes a corny "Typical Love Scene" transcribing dialogue or, in one case, the lyrics to "Indian Love Song," which was sung by saccharine-sweet duo Jeanette MacDonald and Nelson Eddy. Entertaining, albeit familiar gossip, trivia and melodramatic plot lines pepper the pages. Reading about these real and fictional affairs may prompt a trip to the video shop to rent a few screen classics. 50,000 first printing; $50,000 ad/promo; author tour.